If you are struggling with overwhelming debt, Chapter 13 bankruptcy could potentially help you regain control of your finances. But what are the benefits of Chapter 13, and do you qualify? To learn more about filing for bankruptcy, contact a Westfield MA bankruptcy attorney at the Law Office of Eric Kornblum today. Chapter 13 bankruptcy, also known as a “reorganization bankruptcy”, allows debtors to reorganize their debt into a reasonable payment plan that typically lasts about three to five years. After your payment plan ends, though you’ve paid off some of your debt, the remaining debt may be eliminated under certain circumstances. Plus, Chapter 13 usually allows you to retain your property while you repay your debt. 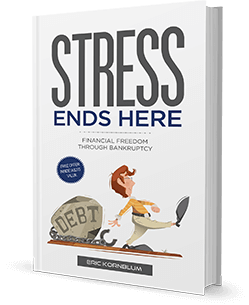 The best part about Chapter 13 is that it offers many different options for managing debt. As stated above, Chapter 13 typically allows you to retain a significant portion of your property. On the other hand, Chapter 7 bankruptcy is quite different. Also known as a “liquidation bankruptcy”, Chapter 7 usually requires liquidating or selling off your property and assets in order to repay your debts. This is a major difference if you still wish to keep some of your property after filing for bankruptcy. Filing for Chapter 13 triggers the court into issuing an automatic stay, which in turn will immediately halt foreclosure. During this automatic stay, you can make up for any of your missed home mortgage payments. Your missed payments can be rolled into your overall debt amount or renegotiated into new terms. By contrast, you cannot make up for your missed payments under Chapter 7. While Chapter 7 requires selling off your property to pay off debts, Chapter 13 allows you to retain most or all of your property. This property can include your home, cars, and more. How Chapter 13 allows retaining of property is through constructing a reasonable repayment plan that spans three to five years. During this repayment plan, you can catch up on any past due payments. Another benefit of Chapter 13 over Chapter 7 is the short length of time it shows up on your credit report. While Chapter 7 lasts for 10 years on your credit report, Chapter 13 only lasts for 7 years. This 3 year difference allows you more time in rebuilding your credit. Through Chapter 13, you can extend your payments on secured debts over a longer length of time, which allows lowering of payments and making them more manageable. Secured debts can be included in your overall payment plan, and your bankruptcy trustee will propose a monthly repayment plan that is based on your monthly budget. With Chapter 13, you won’t need to push your debt onto any of your co-signers. You still retain responsibility for all of your debts. In comparison, Chapter 7 requires that you no longer claim responsibility for your debts, which will then allow creditors to go after any of your co-signers. This often leads to strained relationships between friends, family, or business partners. Fortunately, with Chapter 13, you avoid these awkward situations and keep responsibility for your debts. Chapter 13 can help you get a fresh financial start. Learn more about the benefits of Chapter 13 by contacting Westfield, MA Bankruptcy Attorney at the Law Office of Eric Kornblum today. « How Does the Automatic Stay Protect You During Bankruptcy?